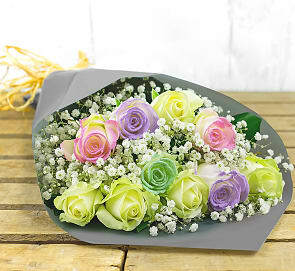 A collection of wonderful warm colours and rich greens make this bouquet an absolute delight to behold. 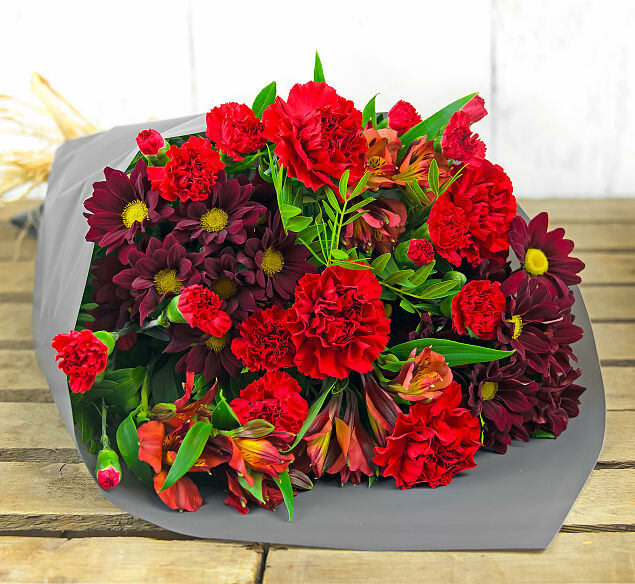 The superb textural contrasts of the various carnations, alstroemeria, and chrysanthemums give this bouquet its complex and eye-catching appearance. Accompanied by lush pistacia, this bouquet is great for any occasion!